Asia – Page 132 – Latest Venture news. Samsung has launched a new service that lets local commuters in South Korea pay for multiple forms of transport with Samsung Pay. Consolidating both the T-Money and Cashbee (formerly Mybi) travel cards, the Samsung Pay Transportation Card Service lets anyone with either (or both) of the pre-registered transportation cards import their credentials into the Samsung Pay app, so they can tap to pay on buses, the underground, and taxis. At the time of writing, Samsung Pay is available only in South Korea, where it launched back in August, and the U.S., where it arrived one month later. It is expected to launch in China shortly, too, followed by the U.K. and Spain. For Samsung Pay to succeed against the likes of Apple Pay which is already available in the U.S., U.K., Canada, and Australia, it needs to infiltrate all the common consumer conduits — and transport is huge. Apple Pay already works with public transport systems, for example in London, and Samsung recognizes the importance of this, as we shift further towards “a world without wallets,” as Samsung puts it. (The Bridge) – The drone business has been becoming the hot topic for a while in Japan as to how we can take advantages of drones or its regulator frameworks have been discussed. Some companies including DJI are attempting to provide a platform such as standardizing an airframe or creating an operating system (OS). How companies get aboard the drone field varies; they can be an airframe manufacturer or the can create a platform for unifying airframe mechanisms. A Japanese startup is now stepping into the drone business. Tokyo-based Clue announced the launch of a data management service for drones called DroneCloud in November. The service aims to be a platform managing various data around drones, such as recording who operates which drone, managing projects and team members operating drones, as well as managing and sharing flight data and logs. In the platform, the project management menu allows users to create a project according to their task, assign members in charge, and select which drone to use. The data management menu can store photos and videos taken from drones, as well as manage flight plans and other project related documents. The flight logging menu enables recording where and when drones were operated as well as weather conditions when operated while the individual management menu manages model specs of drones used, total flying hours, and the status quo of periodical inspections by technicians, as well as logs repairing parts and maintenance status. The service is available for a monthly fee of 9,800 yen (about $80) on a subscription basis. DroneCloud is a cloud service for companies using drones on their business. There are few peripheral services supporting their efficient drone operations such as managing drones and acquired data. We can support their safe and efficient operations by offering a service allowing them to manage various data in an integrated way. Since business use of drones are more advanced in the us and european countries, we will be forced to target the global market. That’s why we are offering the service in english as well as in Japanese. He launched an online media called Drone Borg. He could finally find a business model using drones while writing about drone startups and their use cases from the world. Abe is a serial entrepreneur, having launched a fashion sharing business for accessories called Loving’Box. Though the service had been seeing a steady growth, he transferred it to AirCloset, an online fashion rental service in Japan, aiming to build a scalable business from scratch. Abe was majoring in aerospace engineering at his university, weighing heavily on the decision to choose the drone business leveraging his background. Customers don’t just get irritated when you screw up cross-channel personalization. They jump ship. Find out how to save your bacon on this free research-based webinar with Insight’s Andrew Jones. According to Abe, DroneCloud aims to be a platform for data processing solutions in the cloud, acquiring flight data by integrating via API (application program interface) or SDK (software development kit) for drones from different manufacturers. As the Aviation Law has been amended in Japan, when a company wants to use a drone on business, they must check flight restricted areas, apply for a flying permit, and register the model of a drone to use. Clue will be more focused on help users process this work flow, aiming to support overall operations of drones for businesses. In addition to DroneCloud, we are looking at creating a whole ‘operating system’ for business-use drones. It is only airware currently running the business, but there is no outstanding startup in this sector. While the hardware business of drones will be commoditized in the future, I think the operating system software and the cloud will be keys in securing our competitive advantage. We intend to make DroneCloud a must-have cloud service for drone businesses, providing an os control board that will enable seamless data integration with the cloud platform. (The Bridge) – Tokyo-based Aquabit Spirals announced this week that it has fundraised 40 million yen (approximately $325,000) from K&P Partners in a seed round. Since its launch back in 2009, Aquabit Spirals has been developing O2O (offline to online) solutions using NFC (near field communication) technology. The company was selected to join the Spring 2015 Season batch of the Orange Fab Asia incubation program with its Smart Plate device which enables bookmarking on real objects using NFC-enabled IC chips. Having a unique QR code and IC chips inside, the device gives information linked with other Smart Plates through NFC-enabled / camera built-in smartphones. By managing linked information with codes via the cloud, the Smart Plate leads the user to the information by redirecting access destination, even enabling the NFC chip campaign owners to integrally manage information via the cloud with a specialized app. Above: A prototype of the Smart Plate device showcased at Orange Fab Asia Demo Day. 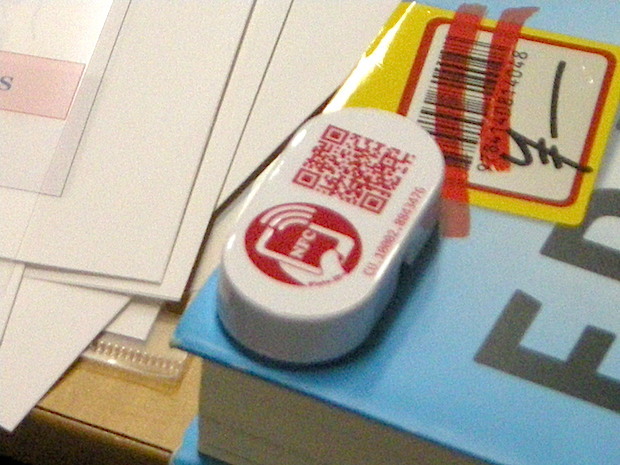 This can be put on books laid sideways at bookstores and help customers reach supplemental information on mobile. The company was selected a Top 10 finalist in the Startup Launchpad Area competition at Echelon Thailand 2015, a startup showcase event taking place in Bangkok last week. They also recently won the Shibuya second prize in the Tokyu Accelerate Program, a startup acceleration program by Tokyu Corporation, one of Tokyo’s leading private railway companies, in association with IMJ Investment Partners. With the support of Tokyu, Aquabit Spirals will start test marketing the Smart Plate device in January of 2016. 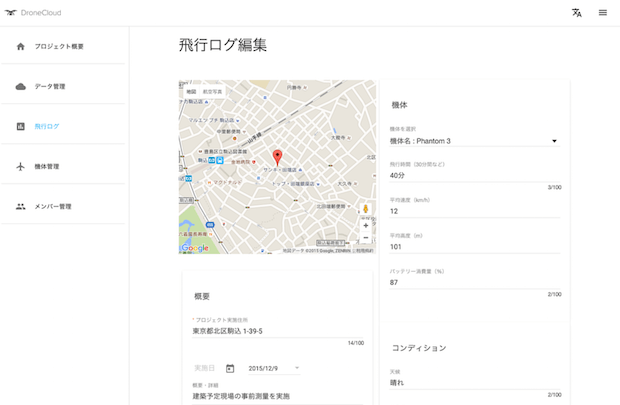 In addition, Aquabit Spirals started providing the showrooming experience for customers at two DIY shops in Tokyo and Osaka using the device, connecting items displayed for sales there with an online storefront where customers can buy afterwards. In Bangkok, the company has placed the device at Airbnb guest rooms, aiming to drive potential customers to Travee, an online activity matching platform in Asia, and bring additional revenue for guest room owners. It can be considered as a new affiliate business model that drives customer traffic into offline retailing. Using the latest funds, Aquabit Spirals wants to enhance the function of the device and accelerate the penetration thereof in Japan and the rest of the world, aiming to connect various locations and physical things to the Internet.